When Should You Use Baby Wash and Shampoo? What To Look For In a Baby Wash and Shampoo? Over-Washing Babies Is A Real Thing! As a parent, you know that the health and well-being of your children comes before anything else, even yourself. For first time parents, baby bath time can be a bit tricky in terms of figuring out when, what and how. 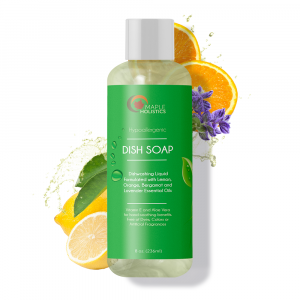 This isn’t a guide to baby bath time, although I will mention it briefly to explain how I utilize a product that has quickly become a favorite in my family: Cetaphil Baby Wash and Shampoo with Organic Calendula. Until a baby starts moving around on the ground and really getting dirty, a daily bath isn’t usually needed (assuming you’re quick with clean diapers, messy feedings and spit-ups, you’re already cleaning the parts that really need attention: the face, neck and diaper area). Infants will only really need a bath two or three times a week: at first a sponge bath, until their umbilical cord stump heals roughly one to four weeks after birth. Then a baby tub bath, and eventually a regular tub bath – after the baby can sit up on their own and outgrows the small baby tub. At the very start of a baby’s life, they do not require wash or shampoo. Heck, they might not even have any hair for a while, and just a gentle cleaning with warm water should be fine. However, if they haven’t used it until then, parents generally will want a gentle wash and shampoo once their baby begins moving around and can get into things. What Should You Look For In a Baby Wash and Shampoo? Many soaps and shampoos, even those made for babies, contain ingredients that can have long-term, harmful effects on children. So with that in mind, my husband and I put safety at the top of our criteria and looked for soaps free of harmful chemicals, added fragrances, and unnecessary dyes. We’re not anti-chemical, since, after all, everything contains at least some sort of chemical, but we lean towards products that are as gentle and safe as we can find. The delicate hair of a baby must be given a mild shampoo that will keep the scalp clean and moisturized. 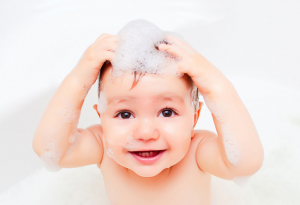 An adult shampoo has sulfates and many other chemicals that are not suitable for a baby’s hair and skin. A high PH-level in the shampoo is also harmful, because it causes the hair to tangle. We came across many baby products on the market that claimed to be “baby safe” and “natural,” whether in the product name, packaging or advertising, but just because it says “natural” on the label doesn’t mean it’s safe. Companies use a lot of wiggle room in labeling, and the term “natural” isn’t globally regulated. As I said above, there is no such thing as a cleaning product that is chemical free, because they all contain chemicals. The closest you can get to natural is using plant-based chemicals, which are better than artificial ones, but also need to be checked carefully for side-effects. Look for a combination shampoo and wash. Babies do not sweat much or get very dirty, so there really is no need to spend your money on more than one product (and expose your child to even more chemicals). Over-Washing Babies, It’s A Real Thing! Babies are obviously reliant on their caretakers for even the most basic of needs, and new parents are often left wondering if they are doing everything right. Many times, that translates into going a bit overboard. Whether worrying that every cry might be something serious, changing barely damp diapers, or excessive burping, it often takes weeks if not months for new parents to get the feel of things. While most of the anxious hovering makes no difference to a baby, over-washing can lead to health concerns. Some babies enjoy being carefully placed in warm water right from the start, while others need a little bit of time to get used to new sensations on their skin. Bathing your new baby is also usually about much more than just cleanliness. Giving your baby a bath can be a lovely way to strengthen your bond, and because of this you may want to wash the baby more often than is needed. Plus, let us admit, there’s nothing cuter than seeing a baby splashing in the bath, soapy suds bubbling all over their chubby folds, arms and legs! Why can this be harmful? Our skin excretes a layer of oily substance, called sebum, that serves to lubricate and waterproof. And since baby wash and shampoo are surfactants, it breaks down these oils that are needed to protect the skin from drying out. This is especially crucial when it comes to washing little private parts. If you browse reviews online, nearly every shampoo has negative comments from parents complaining that their baby’s skin was dried out from the shampoo, and while I have no doubt that there are shampoos to blame, over-washing is more likely the reason. Cetaphil Baby Wash and Shampoo. 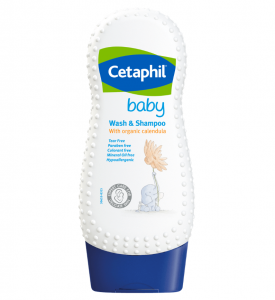 Cetaphil Baby Gentle Wash & Shampoo with Organic Calendula is dermatologically tested and recommended by pediatricians. It is a safe, soothing, tear-free cleanser for babies and kids (and in a pinch, even works well for adults). It contains moisturizing organic calendula, and aloe, is hypoallergenic, and does not contain parabens, mineral oil, or artificial colors. It has a sweet, flowery scent that is really yummy and not at all overpowering. 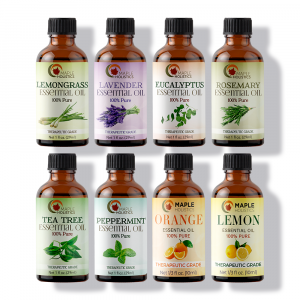 The previous formulations of this product, which lacked the Calendula and had various other compounds, was less liked by my older siblings for their kids, but when this came out, I decided to try it for my little Ashley, and it was a home-run. This two-in-one wash and shampoo for my baby’s bath time lathers up beautifully on my daughter’s blonde hair, leaving it soft to the touch and wonderfully clean smelling. She has nearly shoulder-length thick hair, and with Cetaphil Baby Gentle Wash & Shampoo, I don’t need to use any conditioner to keep her hair tangle-free. She loves splashing around in the bath and she never suffered from dry skin or irritation from the product, so it is definitely a tear-free formula (though we still try to keep it out of her eyes as much as possible). As a body wash, it has a good consistency and isn’t too runny. It spreads well on her skin and is easy to rinse off. It doesn’t produce a ton of lather, which in my opinion is a good thing for a baby. Cleansing products don’t need a lot of lather to get the job done properly and it means there are less slathering agents in the product. 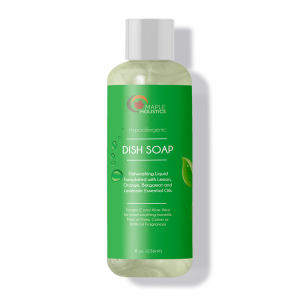 This will gently cleanse my daughter’s delicate skin and hair without drying them out. Though I prefer a pump top to get an exact amount (and it is easier to use when holding the baby with one hand), I did like the thoughtful anti-slip packaging of the bottle. It has dots on the sides which, along with the figure eight shape, help to prevent it from slipping off your wet hands. It also has a stopper at the opening of the bottle, so the liquid wash doesn’t flow out unless you squeeze the bottle. This is great for preventing spillage if the bottle tips over. The dots also help little hands get a grip on the bottle for those little tots who enjoy playing with the bottle. Calendula is a plant, the flower of which is used for various medicinal purposes. 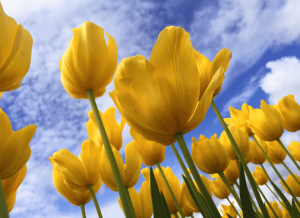 Among other things, Calendula is applied to the skin to reduce pain and swelling. Dermatologist tested and recommended by pediatricians. Gentle wash and shampoo combo that blends into a nice, lather that gently cleans your baby’s delicate skin and hair without drying. Formulated with calming organic calendula, this product keeps your baby’s skin and hair soft and soothed. The light flowery scent is not too strong. 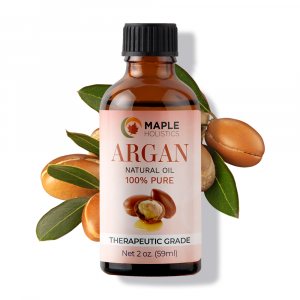 Tear-free, paraben-free, colorant-free, oil-free and hypoallergenic. Has a good non-slip shape and cap that prevents spillage. A pump-top would have been much easier to use and to get an exact amount out of. Some people prefer unscented products (because little babies generally smell yummy on their own). Two thumbs up. I have even used the shampoo myself after I had run out of my own shampoo. You can check out the other four Cetaphil Baby line products that all use organic calendula extract to moisturize, soothe and nourish babies sensitive skins without parabens, mineral oils or dyes: Baby Ultra Moisturizing Wash, Baby Diaper Cream, Baby Daily Lotion, and Baby Moisturizing Oil. They are all hypoallergenic and highly recommended by dermatologists. Cetaphil offers a product that takes care of your baby’s cleansing needs all while being gentle and soothing.